More wintry weather is on the way beginning early Monday morning. A frontal boundary to our south will move northward overnight and will bring precipitation chances right around 7 a.m. Precipitation will likely begin as a wintry mix of snow, sleet, and freezing rain. **Dense Fog Advisory for Atchison (Kan.), Platte, Buchanan, DeKalb, Clinton, Daviess, Caldwell and Livingston Counties until 9 a.m. Monday. Fog could lead to visibility dropping to near one quarter mile at times. 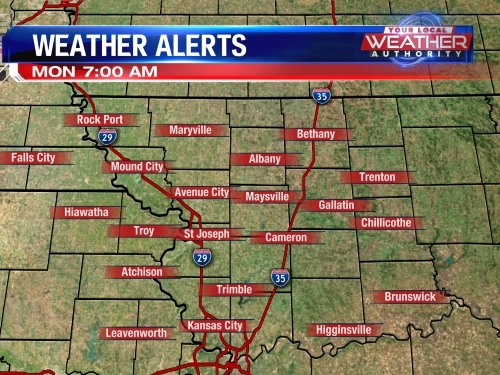 **Winter Weather Advisory beginning at 6 a.m. Monday morning until midnight Tuesday for the entire KQ2 viewing area. More wintry weather is on the way beginning early Monday morning. A frontal boundary to our south will move northward overnight and will bring precipitation chances right around 7 a.m. Precipitation will likely begin as a wintry mix of snow, sleet, and freezing rain. It is possible that we could see some ice accumulation of up to 0.10". 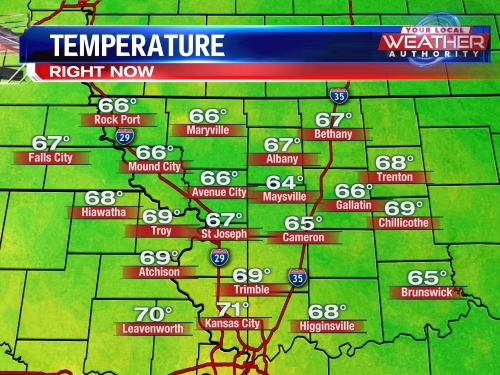 As warmer air moves in, we will likely changeover to all rain for the afternoon. 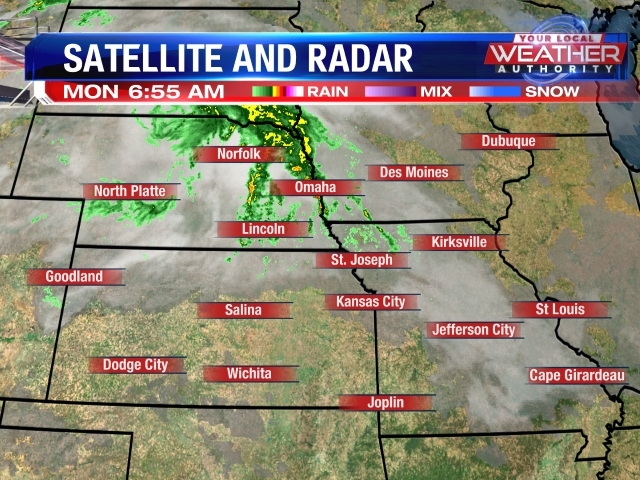 The exception will be towards the Iowa border where temperatures could stay colder. For the evening, we will likely see a transition back to snow as the system departs the region. Snowfall accumulations of up to two inches possible. The most snow will likely fall towards the Iowa border in cities like Maryville and Rock Port. This is an extremely difficult forecast and any variation in the rain/snow line could have big impacts on our weather. Right now, prepare for some slick roads Monday morning and early afternoon across the region. If we stay warmer, we will see just a cold rain but if temperatures are colder, more wintry weather. Stay with KQ2 for continuous updates with this system.